Enjoy the Joyful Romantic Nepali Rock Pop song “Todiyo 2 (Pachhi Pachhi)” by Rajesh Rai featuring beautiful Model Alisha Rai from the Album – Pachhi Pachhi. The Lyrics and Music of the Nepali Rock Pop song ‘Pachhi Pachhi’ is written and composed by Rajesh Rai. Shaxad Khan is the Rapper. The Arranger of the song is Brijesh Shrestha. Alisha Rai, Asmik and Sabin are the Models starring in the Music Video. It is Recorded at – Manoj Dangol. This beautiful Music Video is Choreographed by Dev Jung Thapa. Nirmala Acharya is the Make-Up artist. The Editor of the song is Ujjwal Dhakal. 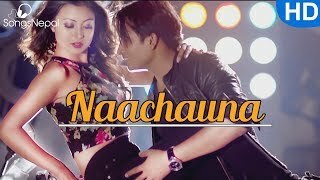 The Direction and Camera work of the Nepali Rock Pop song ‘Pachhi Pachhi’ is taken and done by Gyanendra Sharma Humagain.